Presumably nominated by the same people who keep Dwayne Johnson employed, Mad Max is the cinematic equivalent of an “ask your doctor about Low T” campaign. The critical consensus — that this is some rare and admirable achievement — has me hiking up a Fury Road all my own. Far from a laudable anomaly in the world of “mindless action,” Mad Max is exemplary of its schlocky ilk. If this is the best picture, Red Bull is the best beverage. I can only assume that its nod for Hollywood’s highest honor is part of some Oscar for Schmucks scheme, and that Chris Rock is at this very moment hatching the last of an elaborate lampoon. Otherwise, its nomination for anything outside the technical categories is a misfire, and its inclusion in the Best Picture race an outright scandal. 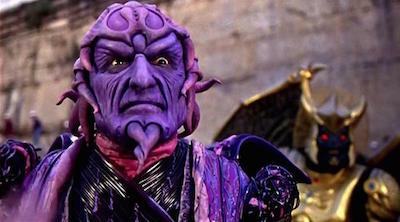 How I remember ‘Mad Max: Fury Road,’ basically. Big on condescension and short on context, this isn’t the brilliant recap of recent history that Adam McKay bullies us to buy. The fourth wall exists to be broken, but for the sake of challenging convention, adding new insight, or at least achieving something clever. To shatter it again and again, with reckless abandon, only to pedantically recount events that anyone old enough to see this film has already witnessed first hand — a mere presidency ago — is to abuse the privilege. It’s not as if the dialogue foregoes exposition as a tradeoff, nor does the movie manage to paint a whole picture of one of the great coups in American history. Congressional and presidential accountability is an afterthought here, if it’s a thought at all. The Oscar crowd wants to embrace The Big Short as brave, but McKay’s so-called courage is but a costume for tired, patronizing platitudes about greed. The Revenant is essentially a metaphor for DiCaprio’s epic lifetime of Oscar upsets. The bear attack is Titanic. The wide-eyed smothering is Catch Me If You Can. The fall off the cliff is The Aviator. And just like this year’s race, we all know who wins the battle in the end. At long last, Hollywood has found a series of events that Home Alone 2‘s Sticky Bandits might not have survived — a series so unfortunate that even an especially morose Lemony Snicket might snicker at them. I winced during the first few. Later, I laughed. It’s the world’s most beautifully shot, most masterfully acted live-action cartoon. The Martian is less stellar than Interstellar and lighter than Gravity, but as I recently mentioned to a friend, it’s still the most fun I’ve had saving Matt Damon. The story compels, its ideas inspire, and the effects impress. Still, as the slightest of the three movies mentioned here, I’m not sure this Ridley Scott-helmed crowd-pleaser deserves a nod among Best Picture nominees. Ranking among the most emotionally challenging viewing experiences I can remember, Room is tough to watch. It’s exquisitely executed, though, particularly in its first half. The second act isn’t as deep or gripping, but it’s also the first time our chests open wide enough to breathe, gasping as we are for some restored faith for the world. Tom Hanks and Steven Spielberg somehow make dingy American holding cells and bleak Soviet landscapes pleasant places to be in. What a marvelous screenplay, with truly award-worthy performances to flesh it out. James B. Donovan makes for one of the great attorney roles. Between Hanks’ hat tricks here and Melissa McCarthy’s more-than-meets-the-eye Spy, 2015 was a great year for silver-screen espionage. Simply put, the best investigative crime drama since Zodiac, and about as important a movie as one could make. Entertaining, enlightening, and challenging, it’s earned some time in its title. 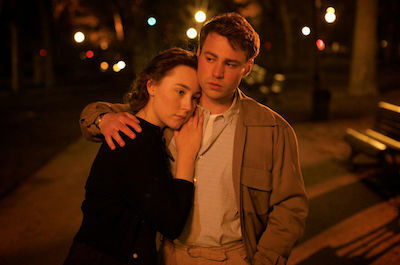 Sweeping and glorious, Brooklyn opens your heart and leaves a new love for great storytelling inside. It is one of those rare films that inspires exhilaration simply for what movies can be. I created this category after Into the Woods was snubbed, but the name still fits, so I’m keeping it (tempted as I was by “These Aren’t the Noms You’re Looking For”). 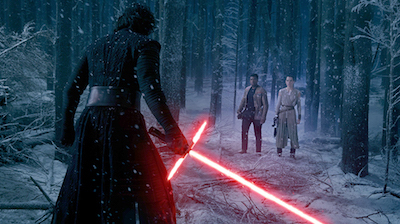 Star Wars: The Force Awakens is the best picture of the year. I didn’t expect a nomination, mind you, but when you look at what made it, let’s just say meesa confussa. Max Mad: Fury Road deserves a Best Picture nom like Han Solo deserves surprise patricide. 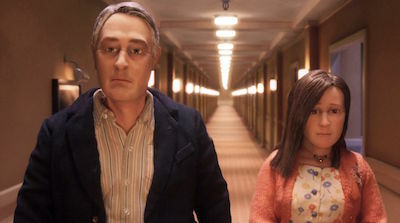 Anomalisa is a profound achievement in animation — astoundingly human in the way Walt’s and Pixar’s best films have been (but earning every ounce of its R rating). Joy, The Good Dinosaur, and Spy would’ve made worthy Best Picture nominees too, though perhaps not winners. For the lattermost, Melissa McCarthy earned recognition in the Best Actress category and should have had it. Tom Hanks (Bridge of Spies) and Jacob Tremblay (Room) are missing among the candidates for Best Actor. And while I wasn’t won over by The Big Short, Steve Carell’s performance is worthy in the Supporting Actor race too. Steve Jobs for score, with music by Daniel Pemberton. See also: Star Wars. Brooklyn needed a lot more love all around. I’m surprised voters aren’t praising it from the top of Hollywood & Highland. My list would undoubtedly have been longer if my viewing log had been too, but the short season got to me this year (a lengthy trip away from home in the middle didn’t help). Notably, I expect that my friend Chris Bergoch‘s Tangerine, widely acclaimed as it is, will eventually appear here too, though I’ve shamefully yet to see it. Update: 15 right, 9 wrong. Just as expected, I suppose! 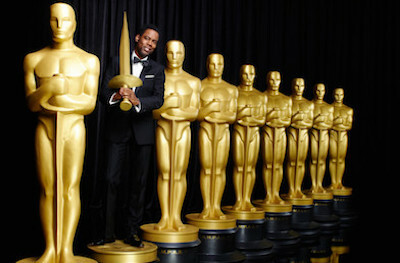 The 88th Annual Academy Awards air live this Sunday, February 28, at 8:30 p.m Eastern Time (5:30 Pacific) on ABC. Visit the official Oscar website here and get your own ballot! For more on the Best of 2015, check out my ranking (and reviews) for the Top 30 Songs of the 2015.